Nancy Drew Dossier: Lights, Camera, Curses. Games online. Help Nancy Drew in this new adventure. 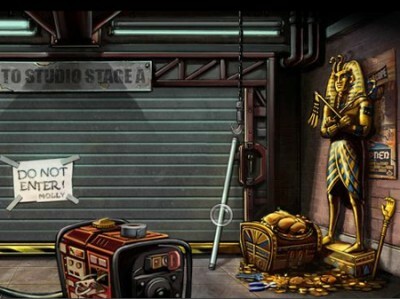 Solve the mystery by finding hidden objects on a movie set. Check all the rooms on the set of a Pharaoh movie.